The blower or air power unit is specifically designed for use with point to point systems and shall be the direct air type utilizing separate blowers motors without electro-mechanical shifter device to switch between pressure or vacuum operation. This compact unit of heavy duty steel construction, is powered by two AMETEK 2 stage continuous duty through-flow vacuum motors. Each blower produces 9.2 in. H2O, and a flow rate of approximately 125 cfm. A combination of blowers may be used depending on system size and length to maintain an approximate carrier velocity of 25 FPS. The unit has built-in circuit breakers and is powered by 120 volts, 60 hertz. Built-in inlet and outlet screens help to keep out debris increasing blower life. The blower unit is designed for remote mounting from the master station. 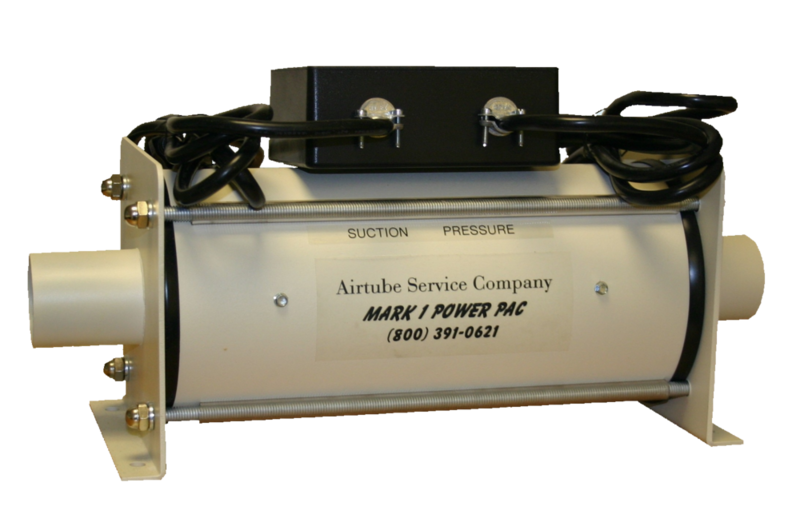 The Mark I blower unit is ETL listed and conforms to ANSI/UL std. 73, certified to CAN/CSA C22.2 std. no. 68 and meets NEC Article 400.7 A8 std. 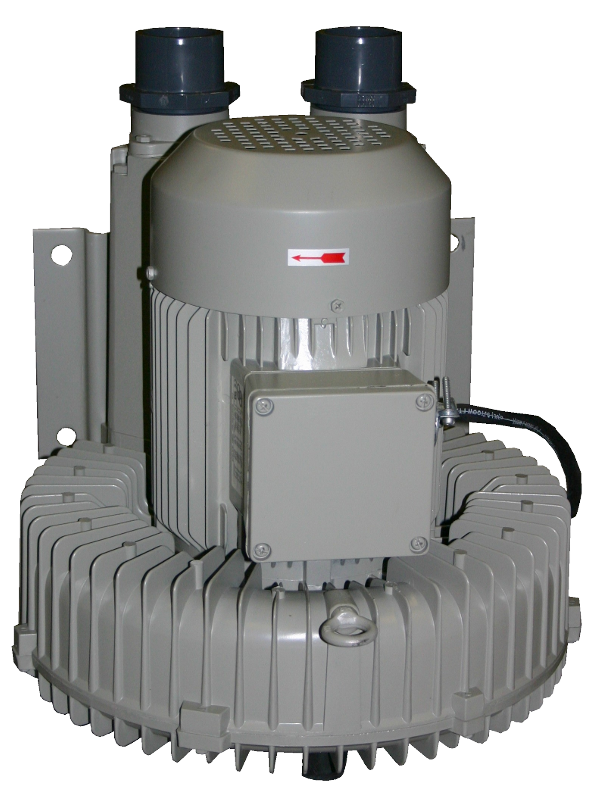 This compact, all steel blower package, is powered with two to four AMETEK 2 stage continuous duty through-flow vacuum motors to provide vacuum or pressure sufficient to move carriers at an carrier speed of 25 FPS. 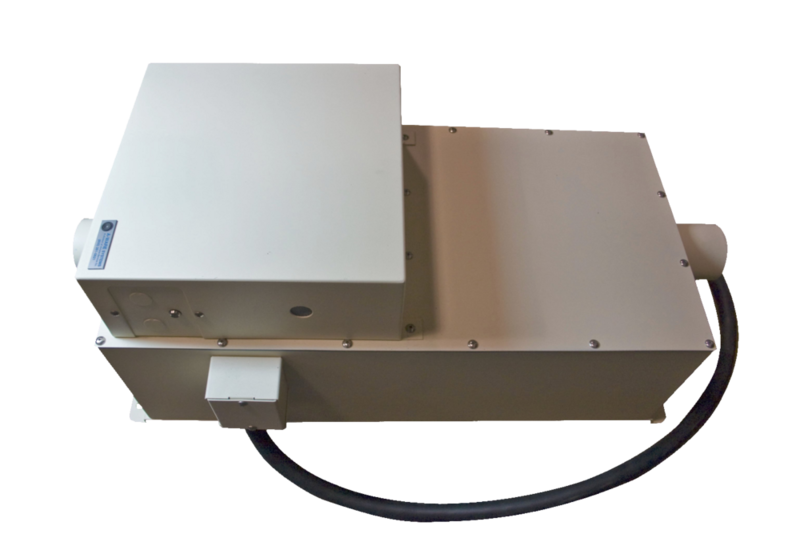 The unit has built-in circuit fusses and operates on 120/220 VAC, 1 phase, 60 cycle current. Built-in inlet and outlet screens help to keep out debris. The blower unit is suitable for remote mounting from the master station. With the built-in Point-to-Point controller you get a even more space-efficient design. The regenerative blower with its aluminium construction and direct drive impeller results in requiring very little maintenance for a long life. With sizes ranging from 1.1 HP to 30 HP and and supply voltage of 208-230 VAC or 460 VAC one will suit any facility's needs.